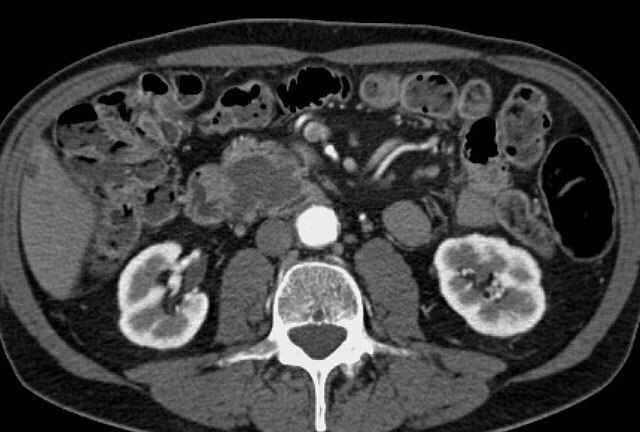 An 83-year-old man presented with recurrent episodes of acute abdominal pain. A previous ultrasound examination had shown dilatation of the main pancreatic duct. Serum amylase level was 180 U/L (normal range, 30-110 U/L) and serum lipase was 400 U/L (normal range, 5-208 U/L). An abdominal CT examination was performed to rule out pancreatitis.